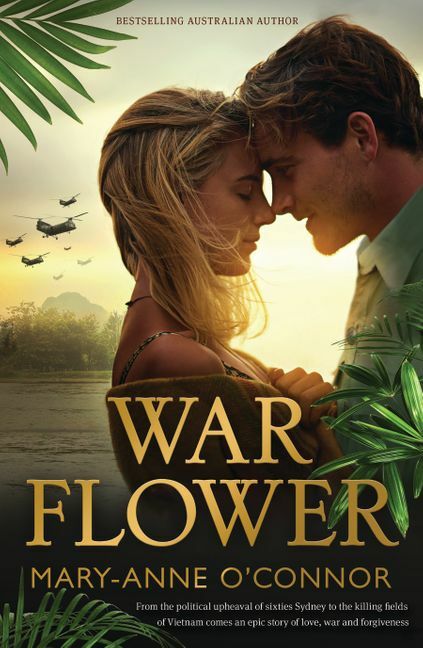 Set against the colourful backdrop of a swinging sixties Sydney and the brutality of the Vietnam War, War Flower follows the journey of six young people through their lives in a turbulent era, and asks - can love still prevail when horror becomes almost too much to bear? The 1960s are beating a fresh pulse of political and cultural upheaval through Sydney. For sheltered convent schoolgirl Poppy Flannery such changes seem irrelevant. But it doesn't stop her from longing to join in, especially if it means spending time with the popular boy she secretly loves, Ben Williamson. So when the opportunity for a dream escape to Surfers Paradise arrives, Poppy and her twin sister Rosemary seize it and find themselves in the midst of the swinging sixties at last. Rosemary embraces their secret new life with a vengeance, discovering drugs, boys and radical politics in a haze of parties, music festivals and protest marches. But such freedom is stolen when Rosemary's great love, Angus, is sent to Vietnam, along with Ben. Soon a war fought thousands of kilometres away will arrive on the twins' door in the form of orphaned refugee Thuy. As many more victims begin to appear, including shattered versions of Australian soldiers, they must decide how far they will go for the men they adore, and ask themselves whether love really is all you need. Mary-Anne O'Connor has a combined arts education degree with specialities in environment, music and literature. She works in marketing and co-wrote/edited A Brush with Light and Secrets of the Brush with Kevin Best. Mary-Anne lives in a house overlooking her beloved bushland in northern Sydney with her husband Anthony, their two sons Jimmy and Jack, and their very spoilt dog Saxon. This is her fourth major novel. Her previous novels, Gallipoli Street (2015), Worth Fighting For (2016) and War Flower (2017), have all been bestsellers.